In August 2018 Secretary of State Alex Padilla launched "All Californians Count! ", the agency's Census 2020 initiative to ensure an accurate count during the 2020 Census. The first project under this initiative was to work with business leaders, community organizations, elected officials and advocacy groups to encourage Californians to voice their opinions to the U.S. Census Bureau during the public comment period. Since then, Secretary Padilla has continued to make the Census a top priority. The Secretary spoke with the Public Policy Institute of California on how to prepare California for the Census in 2020. Every ten years, the Census Bureau is constitutionally mandated to count every person in our country. A fair and accurate count will ensure that California is apportioned the appropriate number of congressional members as well as billions in funding. In 2017 alone, for example, California received $3.8 billion in federal highway funding and, in 2016, received $2.4 billion for our Children’s Health Insurance Program. 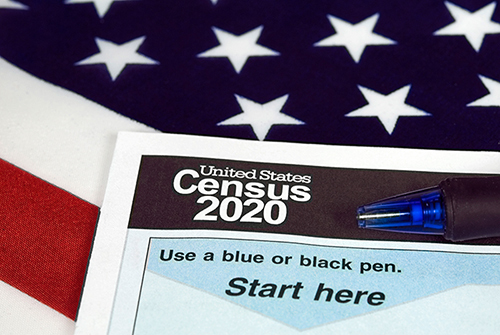 The U.S. Department of Commerce announced on March 26, 2018 their decision to include a citizenship question on the 2020 Census form. Find more information about the Commerce Department’s decision to include the question here. On March 27, 2018, California Attorney General Xavier Becerra filed a lawsuit against the Commerce Department alleging that inclusion of a citizenship question on the 2020 Census violated the United States Constitution. On April 5, 2019, a third federal judge found the decision to include this question on forms for the 2020 Census to be unlawful. Previously, two other federal judges from New York and California also struck down the addition of this Census citizenship question. Secretary Padilla spoke with Amy Walter about the fight against the addition of this question, and the implications that the Census has on federal funding and apportionment in the US House of Representatives.